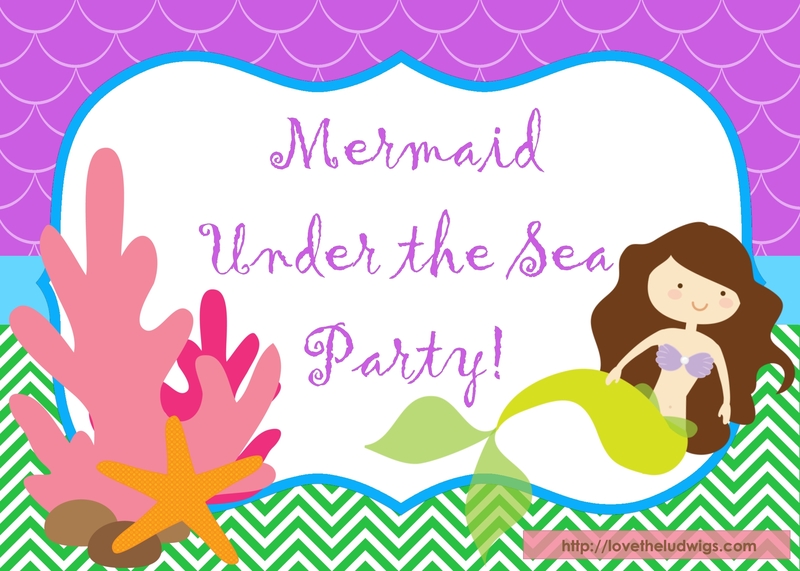 Lulu loves Ariel, and jumped on board with the idea of a mermaid party as soon as Cole suggested it when we were brainstorming themes. She sat beside me as I consulted Pinterest and chose her favorite ideas – which she was THRILLED to see put into action for her birthday party last weekend! Lulu sat very patiently while I gave her a hairline braid and accessorized with a sea star. 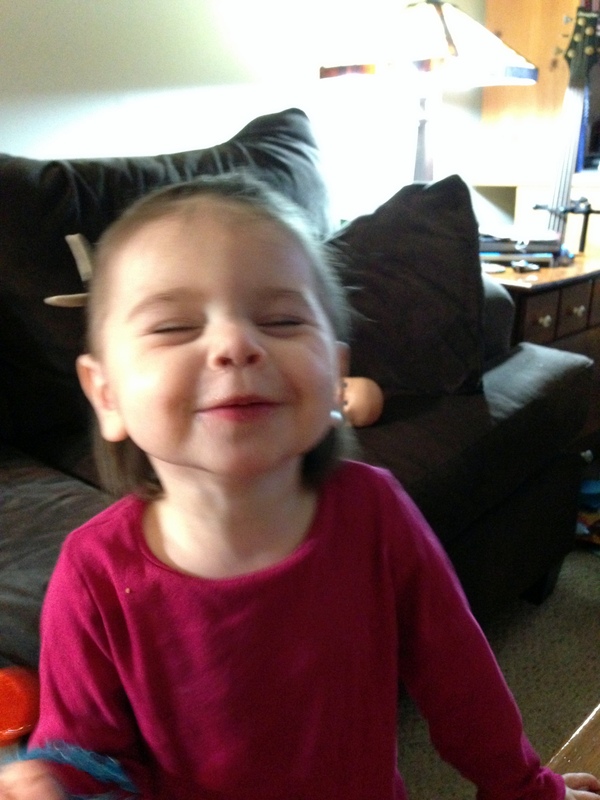 Cole has taught her his “cheese” face. 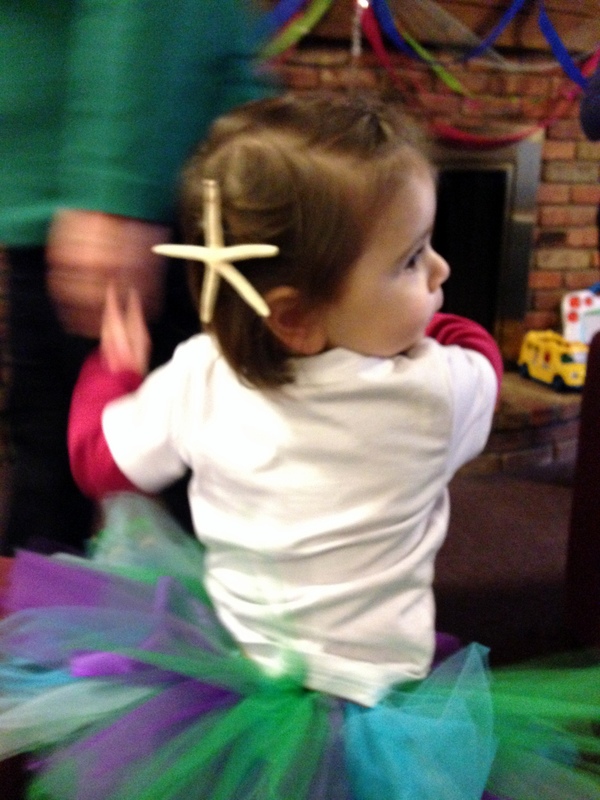 Sea Star Hair Pin – this was a 2 minute project. I found some sea stars at AC Moore, and hot glued them to a bobby pin. Easy peasy! And what else would a mermaid princess wear in her hair? 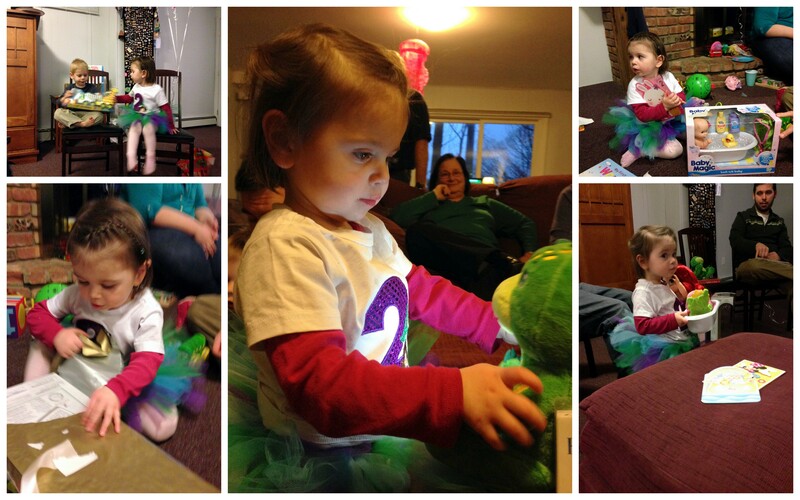 Tabitha at The Tiny Closet made Lulu’s birthday again this year – we love tutus! 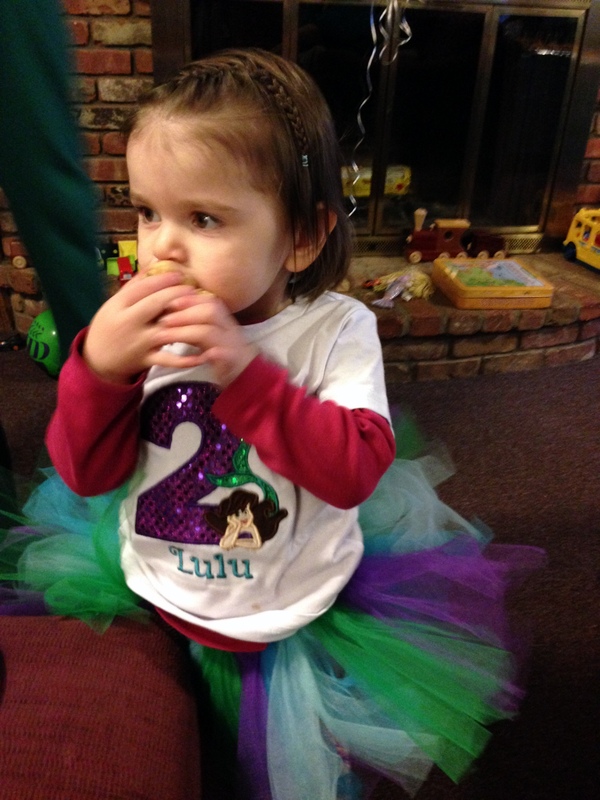 She was able to customize the shirt a bit so it was more generic mermaid than Ariel. You can see her braid better in this pic, too – it stayed so well we left it in for 3 days! 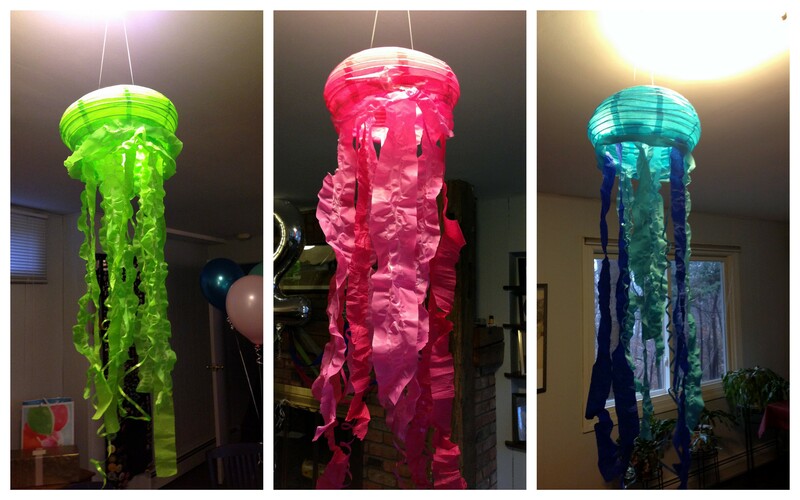 I love, love, LOVE my jellyfish – they were pretty much my favorite decoration, and Cousin Amy took them home to decorate her college apartment! We used a Party City tutorial and they were completely adorable. I made the banner with scrapbook papers and mermaids that I printed on card stock. The cake table had a little whimsical ruffled effect because I used the scraps from the jellyfish project and layered them over each other. 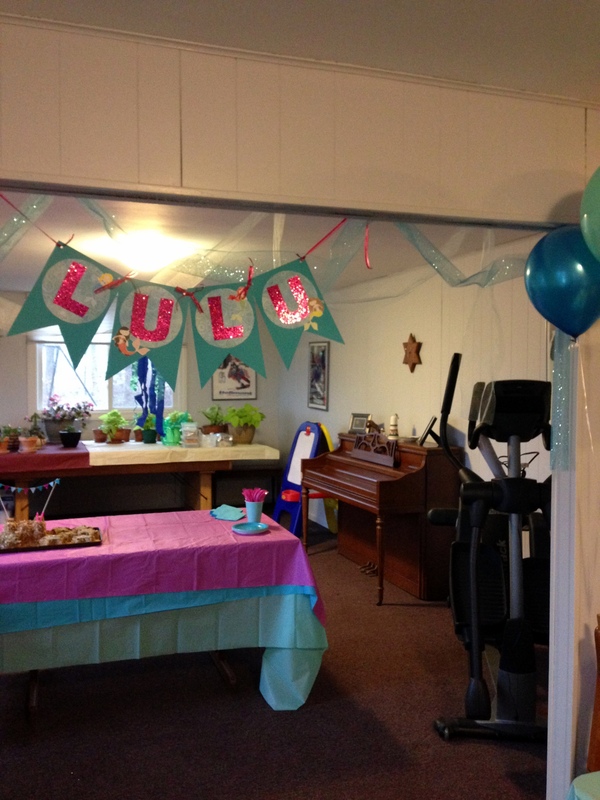 I used tulle, crepe paper, and balloons in pink, teal, and lime green to complete the decorations. 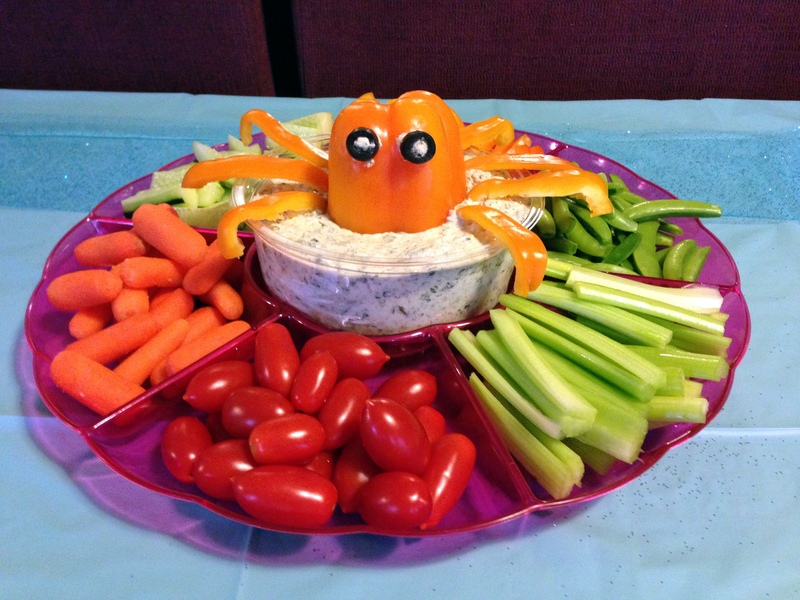 How adorable are these crab sandwiches? 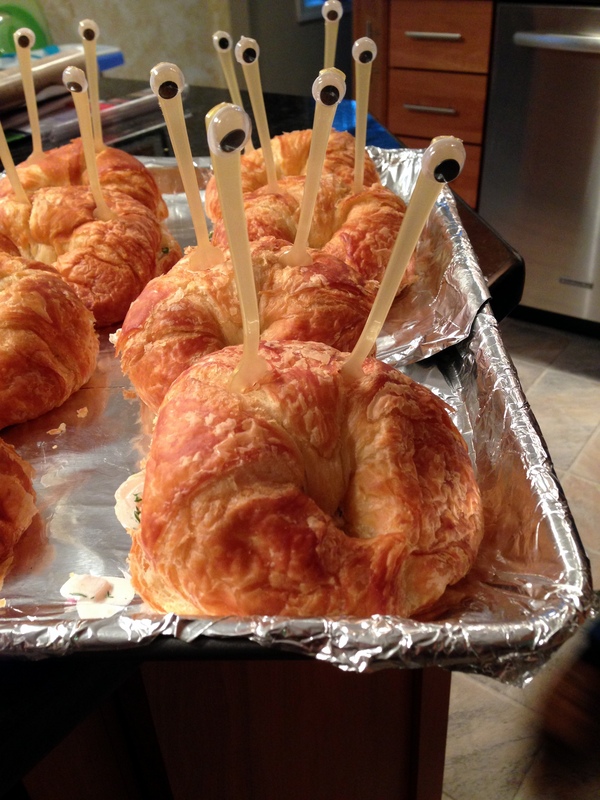 I Amy hot glued googly eyes to cocktail forks, and voila! Adam made delicious shrimp salad for half of them, and we filled the other half with roast beef, cheese, and horseradish mayo. Yum! In addition to the sandwiches, we had a salad loosely based on this one with spinach, sugar snap peas, pineapple, and ginger mandarin dressing. How adorable is this little guy? I think this was Lulu’s favorite part of the whole party – she was super excited about this pin when we were in the planning stages, and she talked about the sea star cookies for days leading up to the party. The original recipe involves making your own marshmallow, which was just not happening, so I used that ice as a jumping off point. 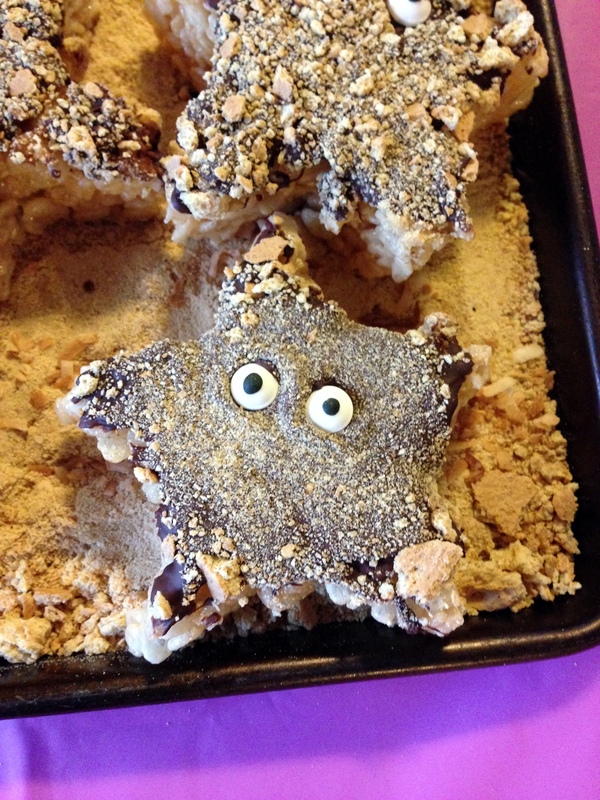 We made rice krispie treats in a star-shaped cookie cutter, and then dipped them in melted chocolate and crushed graham crackers, before adding the edible eyes. They came out great! These little clams (oysters?) 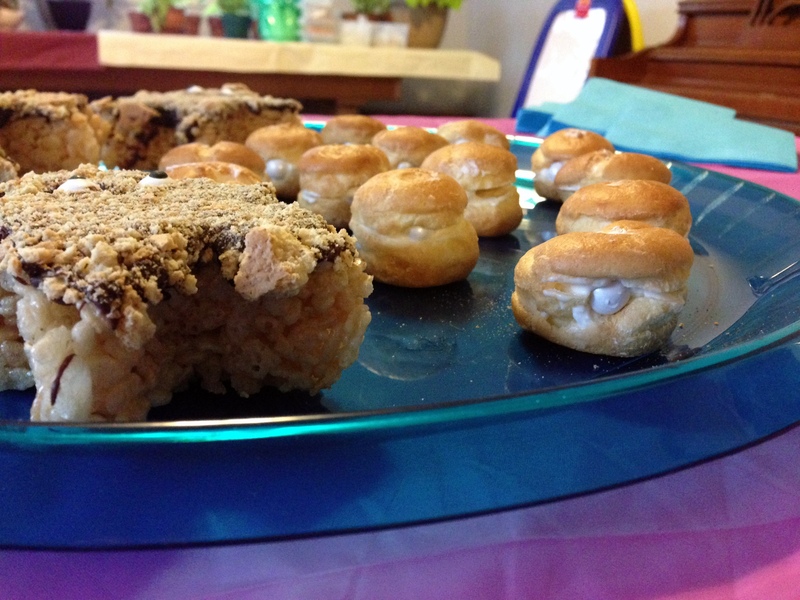 were quick and easy; I cut a slit in Costco frozen cream puffs and stuck in a pearlized sixlet. Done. This cake may not look like much, but it was DELICIOUS. I used this Samoa bundt cake recipe in a castle cake pan to make a sand castle cake. 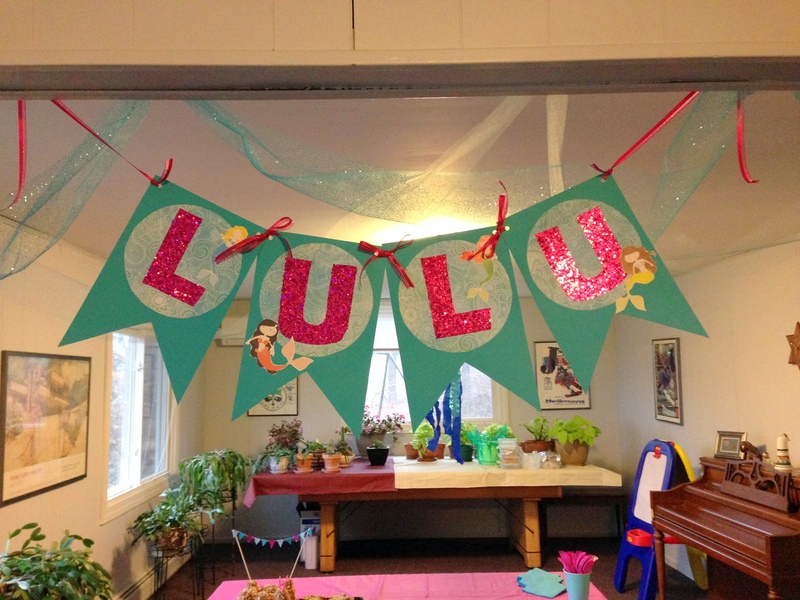 I used the same scrapbook papers from Lulu’s banner to make a mini bunting. 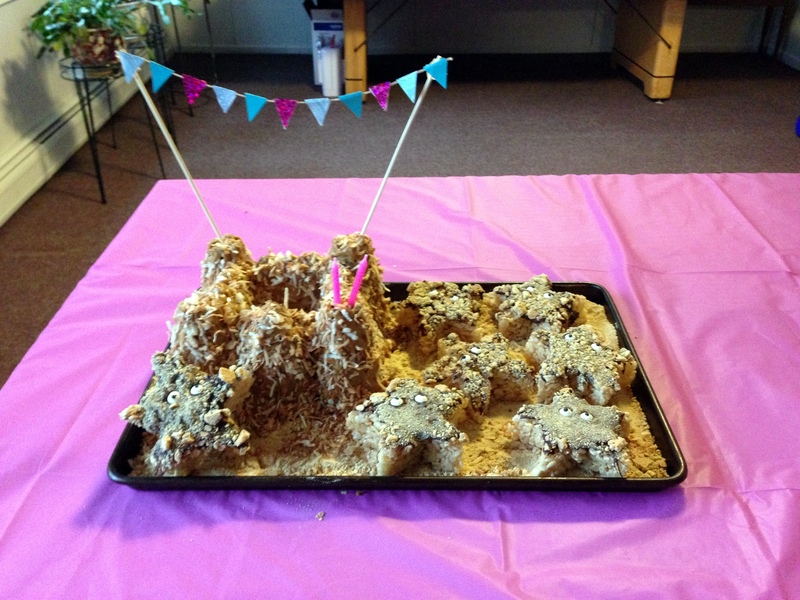 For reference, edible sand we used was a combination of crushed graham crackers, brown sugar, and toasted coconut. I have pretty much given up on trying to get people to limit their gift giving to my kids (but you guys? seriously? they have SO much! ), so Lulu had a bunch to open. Cole was happy to help, and Lulu’s favorite new toy was the bathtub baby he bought her. We had a very small family party (the only camera shy guests were Aunt Angela, Uncle David, and Uncle Eric, so who you see here was almost everyone); Lulu had a great time parting with Grammy Boo and Grandma, Cousin Amy was *beat* from 2 days of indentured servitude party planning, and Coach was just glad not to be forced into costume and chased down by a pack of silly string wielding preschoolers. 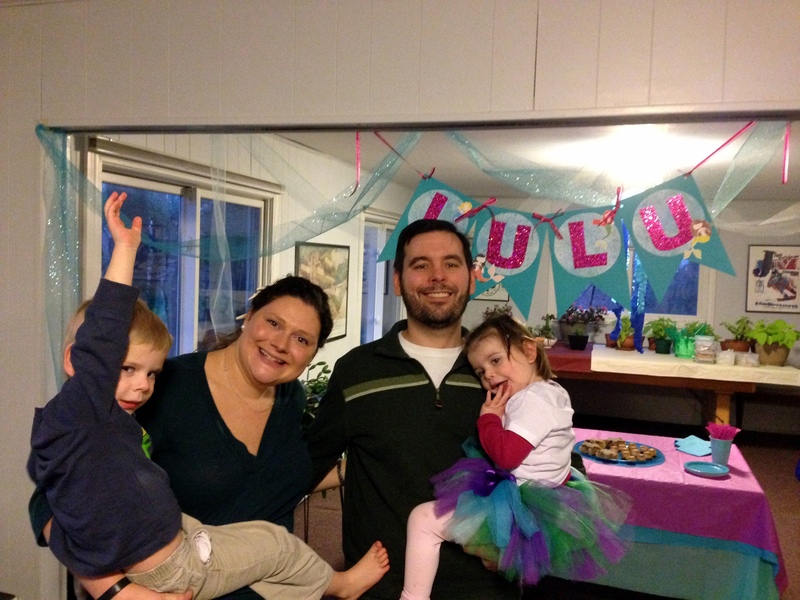 Thank you so much to everyone who made Lulu’s day so special. Coach and Grammy Boo graciously let us invade their house for the second year in a row, and Cousin Amy was shanghaied into slavery yet kept a happy face. See you next time? I LOVE your mermaid party. 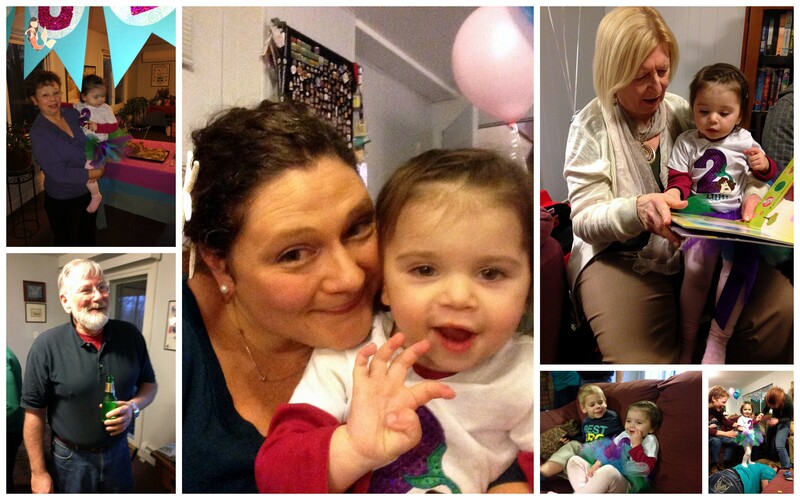 You really do throw awesome parties – the cake is so creative and sound DELICIOUS. High praise from my party idol! That cake was a lot of work, but sooooooo good!